Try them all, except the one that involves a handgun! Which came first, wine or the corkscrew? We’ll leave that one to the historians, but we can answer this question: How the hell do you open a bottle of vino if you don’t have a corkscrew? Sure, you could push the cork into the bottle like a chump. But why not impress everyone at the cookout/potluck/bacchanal by doing something totally epic, like sabering a magnum of champagne or banging some two-buck chuck against a trunk of an old-growth maple tree? Seriously, forget corkscrews—as long as you have a blowtorch, power drill, toothbrush, or coat hanger, you can open a wine bottle no problem. Click through the gallery above to see some of the most innovative ways to open a bottle of wine. 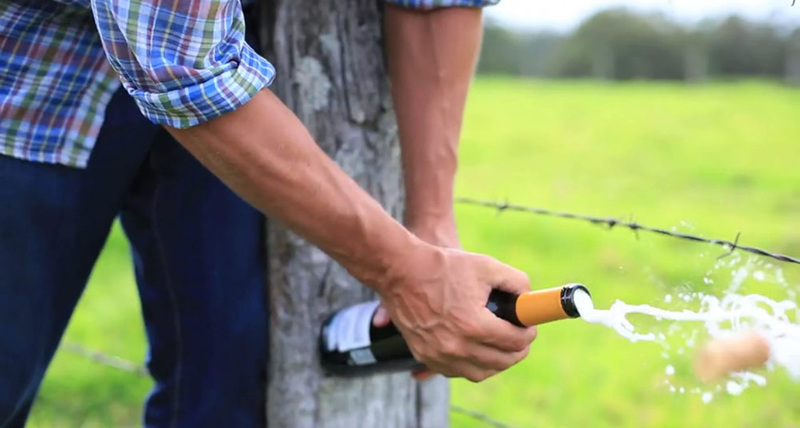 Click through the gallery to see all of the epic wine-opening techniques.